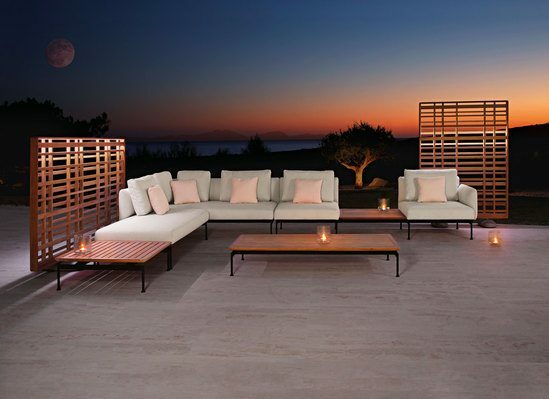 Barlow Tyrie's design team has created new additions designed for both contemporary and traditional outdoor settings. A companion design to the Layout collection, Woodland screens can be used to create greater intimacy and enclosure for seating configurations. 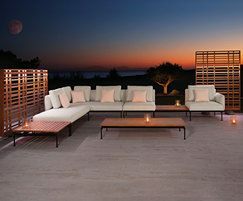 The light, random pattern of the teak slats, their soft edges and the pebble-like feet were inspired by nature and create an atmosphere of quiet sophistication. Available in two size: landscape, h. 133cm x w. 228cm and portrait, h. 178cm x w. 122cm.